Fusion Brewing takes a unique approach to creating a brew, first they decide on a style of food to match. Then Matthew Evans (Chef / Food critic), dissects what key flavours are normally present in the chosen style of dish and what qualities a beer should have to further bring out these flavours. From here some guidelines are created and passed along to head brewer Brian Watson to transform into amber liquid, which should then be the perfect partner for your dinner. Seeing as so much care had gone into seeing that Firefly brew would be the perfect partner for spicy food, i decided it was only fair to try this number with a meal. In the name of science i cooked a nice hot chilli / ginger stir fry for dinner specially to enjoy this beer with. Upon decanting the bottle into a glass i was greeted by a lightly carbonated brew, bright gold in colour with an aroma full of floral notes. Tasting the brew, the drinker is hit initially with a sharp pilsner style bitterness which i found to be a great blend with the heat from the stir fry. Upon swallowing pretty much all taste quickly subsides leaving nothing except a subtle sweetness on the palate, not much else to it, this is an exceptionally clean tasting beer. Verdict: This beer is super clean in taste designed to compliment the flavours of your meal not fight them. That said i could also see myself enjoying a six pack of these beside the pool on a hot summers day. Can’t wait give their other beer “Bluebottle” another try with some seafood as it was intended, the first time i tasted it i was in a pub and without any food to give the proper taste test. P.S It has also come to my attention this brew recently took out Silver in the 2009 Australian International Beer Awards. Full results sheet can be found here. For years people have been paying a great deal of care when it comes to selecting a wine to compliment a meal. Unfortunately the same attention to detail is rarely shown when selecting a beer to drink during a meal. Fortunately this attitude is starting to change as people realise beer can, not only be a meal in its own right i.e morning beers for breakfast after a long night or it can enhance an actual solid meal. One selling point of enjoying a beer during a meal as opposed to wine is its carbonation this helps cleanse the palate and lighten some of the more overpowering food flavours. Try and match sweet with sweet and tart with tart, you want the beer to complement the flavor of the food not fight it. The more bitter the beer the more intense the flavors of the dish have to be in order to compensate. So something like VB probably isn’t the best choice for something with mellow flavors such as seafood. 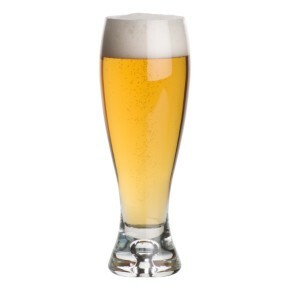 When thinking of a beer to match with dinner, think of lagers as a white wine a with its lighter aromas and clean crisp flavors. Whereas a heavier ale is red wine’s brother in arms with its more complex aromas and bold flavors. The darker the food the darker the beer to drink with it. The spicier the food the more bitter the beer, a VB will nicely blend with Thai, and something with a higher content such as a IPA (Indian Pale Ale) will go great with an intense curry. Something which just doesn’t work as good for wine! If your in Sydney and interested in learning more about pairing food and beer you should enrol for a beer class at the Red Oak Cafe in Clarence Street. For $75 per person you receive a 4 course degustation meal with matching beers and an education in what beers go with what. For those that prefer a less formal education the Pyrmont brewery Fusion Brewing has taken the whole food and beer thing to the next level, by actually going out and creating beers for certain foods. First up is their Blue Bottle beer the taste of which they describe as “a seductive blend of lifted aromatics, bitterness, and a citrus sting”, this beer was created specially to enjoy with seafood. 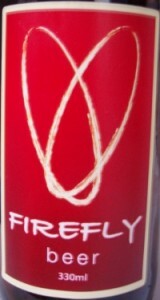 The other beer in their portfolio is called Firefly Beer. This is a Pilsner that was designed to withstand the roar of spicy cuisine such as Indian, Thai, Malaysian etc. Well there it is get out there and try new food and beer combination’s. The most important thing to keep in mind though, is don’t take it too seriously. Beer exists first and foremost to be enjoyed! So many times you see people standing in a bottle shop getting worked up over what wine will pair with ossa buco, and you feel sorry for them as are over thinking things and not as likely to enjoy their meal as much than if they had relaxed a bit. The annual Cascade hop harvest begins!